Put together a weekend tour of some terrific Raleigh, N.C., breweries in downtown Raleigh and within easy reach from downtown. 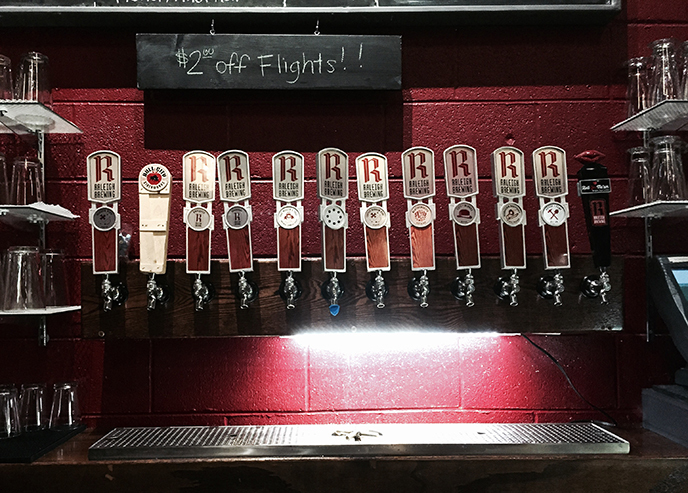 (Hint: this is a great way to get some stamps on your Raleigh Beer Trail Passport!) We’ve singled out some suggestions, and this will help get your game plan started. Raleigh Brewing Company, which has quickly become a pillar of the local brewing community, is always lively on Fri. afternoon, especially outside when the weather is nice. Try their famous Hell Yes Ma’am Belgian Golden or a House of Clay Rye IPA. Food trucks abound, brewery tours are available and special events are on the calendar. And don’t forget to check out Atlantic Brew Supply located onsite, one of the region’s largest beer brewing supply stores. As darkness falls, seek out Sub Noir Brewing Company, a half-barrel operation that opens their tasting room on Fri. evenings and Sat. Look for the Ohs Noes Gose. Tiny, eclectic and worth a visit (and, yes, they have an N64 and some old-school video games to get into). Just down E. Whitaker Mill near the corner of Atlantic Ave. is the new Lynnwood Brewing Concern. Beautiful taphouse with open window views of the brewery. Check out house favorites Hop On Top, Blonde Moment and Kiss My Irish. The outdoor beer garden should be opening soon. Saturday afternoon is prime time to check out Crank Arm Brewing in the Warehouse District. Try the Rickshaw Rye IPA. Great walking neighborhood to explore. Yes, these are the same folks that run Crank Arm Rickshaw. 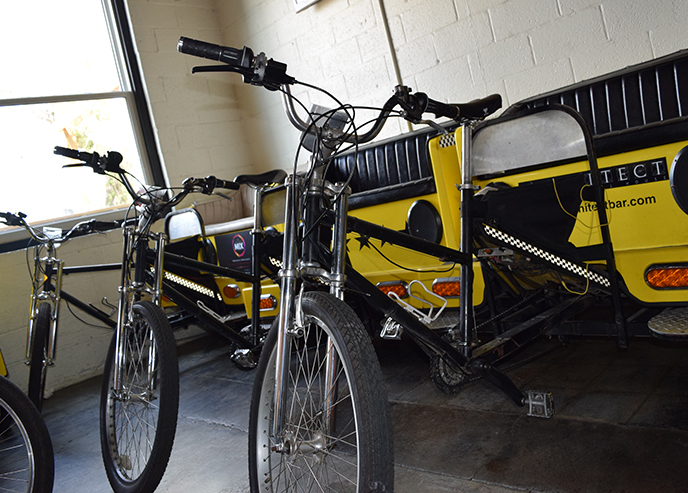 If you have not done the rickshaw thing around downtown Raleigh, do yourself a favor and jump in. Clouds Brewing is close by, just a 12-minute walk or a short rickshaw ride away, definitely worth a visit. For a pint and a pie, the original Trophy Brewing Company on W. Morgan, nicknamed “Little Trophy,” has a warm, cozy vibe. Outstanding beer. Pizza to die for. Look for Trophy Wife, Double Death Spiral or Slingshot Coffee Porter. Another evening option is Big Boss Brewing Company, well known for area staples like Bad Penny, Angry Angel, Hell’s Belle and Blanco Diablo. Offering outdoor seating plus darts, ping-pong, and billiards, the taproom is open until 2am. Meander through the neighborhood streets east of Five Points and you’ll find Pershing Rd., where Nickelpoint Brewing Co. and Neuse River Brewing Company sit just two doors apart. 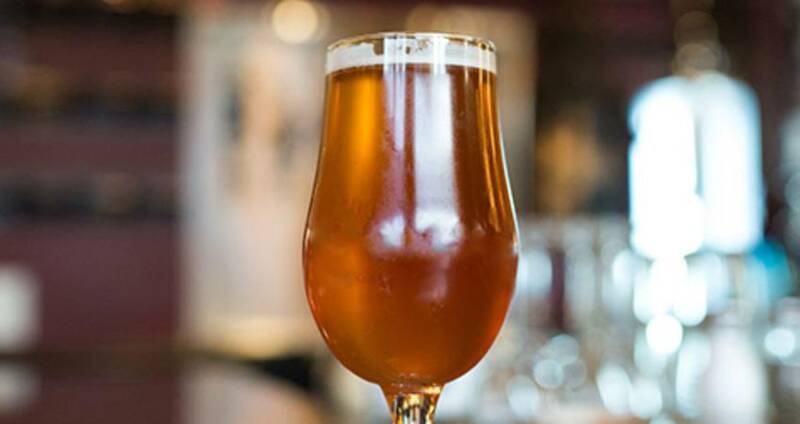 Neuse River concentrates on Belgian-style ales and IPAs while Nickelpoint offers handcrafted lagers, porters, ales and a variety of seasonals. Hanging with the neighbors has never been so fun! Just south of downtown on Maywood Ave. you’ll find "Little Trophy’s" new big brother. Yes, "Big Trophy." The new Trophy Brewing Company - Maywood is a 20-barrel production facility with expanded taphouse, outdoor patio, games, lawn space and a regular food truck schedule. 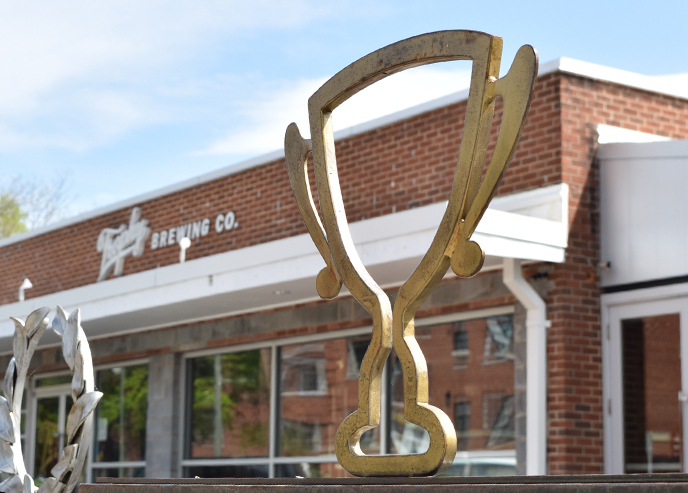 "Big Trophy" also features other Raleigh and N.C. beers on their 12-tap draft list. There you have it. Jump out on the Raleigh Beer Trail or find a local service like Beltline Brew Tours to make some new discoveries! As always, designated drivers, taxis, rickshaws and feet are recommended. Never drink and drive. Click here for information on available ground transportation. Cheers! See a list and information on all Raleigh area breweries here!